The American Numismatic Association organizes two shows each year: the National Money Show, which occurs in the spring, and the World’s Fair of Money, usually held in the first or second week of August. The annual spring show took place last week in downtown Dallas, Texas. I visited the convention and came away with some thoughts on the event, coin shows in general, and the present market. This show was not tremendously busy from either a dealer or a public standpoint. While the summer show is considered to be the largest coin show in the world, with dealers flying in from all over the globe, the spring show has gradually become smaller and smaller. There were no dealers from outside of North America, and quite a few dealers that are usually in attendance at the national shows decided to skip this one. Of course, that does not necessarily make it a bad show, but there just was not the buzz one would hope for at a large ANA event. That does not mean that the show was a complete bust. Many dealers did report lackluster sales, which is not uncommon in this market, as prices appear to be on a gentle downward slope at the moment — it’s the nature of buying and selling collectibles. But others reported sales at all price ranges. Several dealers I spoke to, who did not have a table, reported finding some coins their customers back home were looking for. That statement captures the current state of the market well; while coin collecting is anything but a dying hobby, coin shows are not as popular as they once were. Many coins go directly to auction or to dealers’ Web sites, but it is no surprise and no secret that coins still do sell, and that people still buy them. The dynamics are certainly shifting, however, and they have been for a while now. 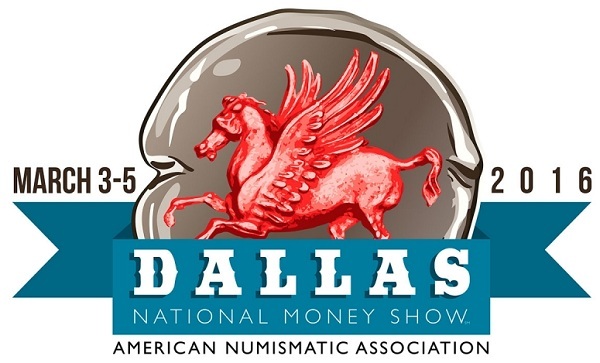 The 2016 ANA National Money Show was held at the Kay Bailey Hutchison Convention Center in Dallas. The ANA does a tremendous job of promoting the hobby. The annual Summer Seminar in Colorado Springs, for instance, brings in collectors from around the country, including many kids and young adults. But I think it might be a good time for the ANA to take another look at the shows it organizes, and especially at how they do it. Cost of attendance is high for all dealers, which results in a relatively small show, as many dealers do not find it worth the money to pay thousands of dollars for a table, hotel rooms, and travel, when retail attendance is lackluster at best. From a business standpoint it just doesn’t make sense, especially not in this market, and I think this prevents some dealers from becoming more involved. I’ll admit that I don’t think this show would have been a blockbuster from a retail perspective if it had been held elsewhere, or if tables were a little cheaper, or if there was a killer auction (there wasn’t). The current state of the market makes it difficult to put on a robust, active show as was common even a few years ago. As such, we can’t quite compare last week’s show with other recent conventions in the area, such as the spring ANA show held in Fort Worth, Texas in 2010, which was a strong (and much larger) show held in a completely different market. The spring ANA show returns to Texas in two years and that could very well be another great show. Let’s return to the actual event, which ran from Thursday through Saturday, with a few hours for dealer setup on Wednesday afternoon. In addition to all of the dealers’ tables, the traveling ANA exhibit was in attendance, which offered attendees the chance to view a selection of the organization’s collection, most of which is on permanent display in Colorado Springs. Fellow collectors also exhibited a wide variety of items, ranging from 19th century medals to modern coins, and everything in between. There were also a number of educational courses offered for collectors, and Heritage Auctions (based in Dallas) organized a sale of United States coins, which we previewed in another article. So even though the show, at least for me, did not feel like an ANA show, it was no doubt a success for some visitors. If you were in attendance, please share your opinion of the event in the comments, as others will certainly have differing views based on their own unique experiences.